Well I did it! 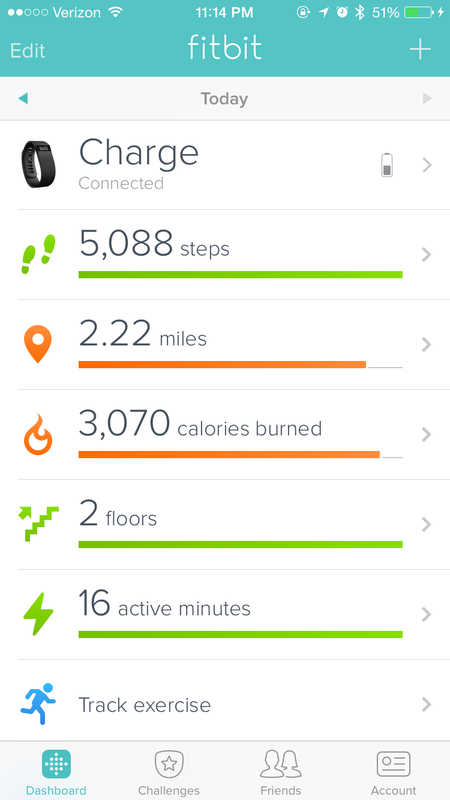 I got my 5000 steps in today. I took a nap after work again but I was not going to let one more day pass without working on my exercise commitment. I only have today right? So today is the day to meet my goal. How do I feel about this? I feel great! I think this has motivated me to get back into making sure I am doing this every day. I hope it will give me energy like my accountability partner said because I am just so fatigued every day. It’s frustrating! So now my next goal is to take my schedule to the Lord in the morning. This is how I am going to have to start every day. I need guidance from the Lord. My ideas are not as successful when I just go forward without including the Lord in my plans. In John 15:5 Jesus said, “I am the vine; you are the branches. If you remain in me and I in you, you will bear much fruit; apart from me you can do nothing.” Quite frankly I don’t want to do anything apart from Jesus. He is my everything. My desire is to walk out this journey with Jesus not by myself. I can’t do it alone. I appreciate my accountability partner but we both agree that even with each other we are nothing without Jesus leading the way. Who is leading your life today? My small victories that I wrote about stirred a conversation with a friend about how do I celebrate these victories. I had no idea how to celebrate. My thoughts of a celebration revolve around food. When my friend asked me how I was going to celebrate my response was “well it won’t be with desserts because I am not eating sweets for 31 days”. The reality that my view of celebration was only about food really caused me to think. I don’t know how to celebrate with anything other than food. When someone gets a promotion or graduates, we go out to eat. It’s what I know. The only other thing I could think of was sending a card but I am not going to send myself a card. That would just be weird. I asked for feedback on how to celebrate in the group I am involved in on Facebook and got some great ideas that I had not considered. Buy a shirt, take a bubble bath, give yourself permission to take a nap were among the suggestions I received. As I think back to the times when I have been on this journey before I see where I did not really celebrate my victories. I mainly focused on my failures. I was a completely black or white thinker and I was either succeeding or failing, there was no in between, there was no room for the middle ground of learning opportunities. This revelation became an unexpected motivation for me. When I think back to the time when I lost the most weight within one year I do remember getting my hair cut and colored which was a celebration of my success. However, when I veered off my path I hit a wall and would beat myself up for days on end before ever getting back up and moving forward. It was a major hindrance to my journey. When I got to the end of that year and only lost 86 pounds instead of 100 pounds I didn’t see the 86 pounds as a success but a failure. I know, it was stinking thinking. After that time of what I viewed as defeat I gave up for a long time. I had a few attempts at getting back on track but I could not give myself grace to move forward. I felt that I had let down God. I was on a journey with Jesus, that was and is my purpose for writing this blog. I’m so thankful that my thinking is shifting and I am allowing myself grace to keep walking even when I don’t meet every goal. I re-evaluate, I change or modify my goals when I find that I am attempting to do too much at once. I listen to my accountability partner when she gives me feedback if I begin to go on a downward trail. I allow myself to learn along the way and I am not rushing into anything. It’s not about losing weight anymore. It’s about being healthy and honoring God with my body. 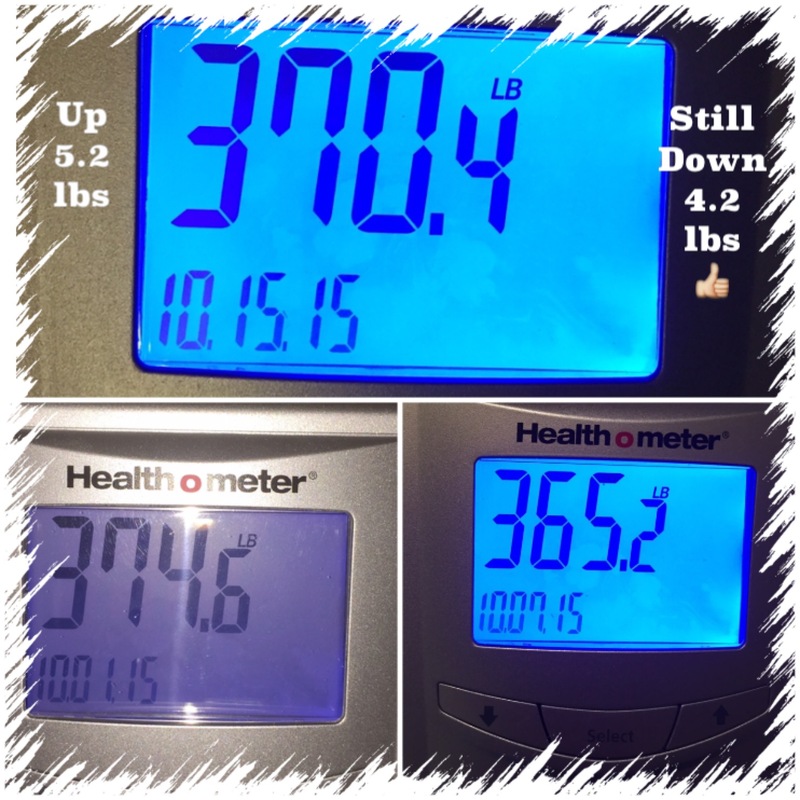 It took years to get to the place I am today with my weight and it may take years to get to a healthy weight. In the meantime I need to truly learn how to celebrate the victories that I am seeing in my life. Today I have a boost of motivation that I did not anticipate and it’s wonderful. It’s allowing me to grow. I have a new-found confidence that I haven’t experienced before. I am really making changes to my life and each step of the way I am inviting the Holy Spirit to teach me and guide me. I am excited for the things to come. I am motivated to continue this journey and learn to celebrate my small victories with more than just a blog post. What a blessing! Thank You Jesus! Just another reminder before you leave, DaySpring.com is celebrating all of the amazing Write 31 Days readers who are supporting nearly 2,000 writers this October! To enter to win a $500 DaySpring shopping spree, just click on this link & follow the giveaway widget instructions. Good luck, and thanks again for reading! 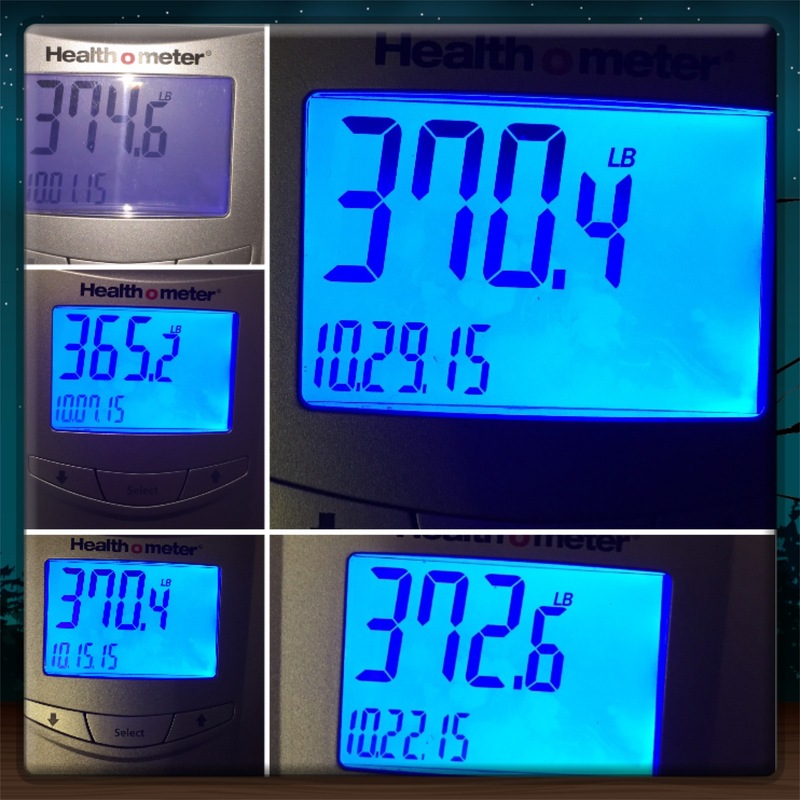 So as you can see I am up 5.2 lbs but I am still down 4.2 lbs from my original weight. Well that just tells me that I need to really put into practice the things I have been talking about over the past three days as I move into week three. 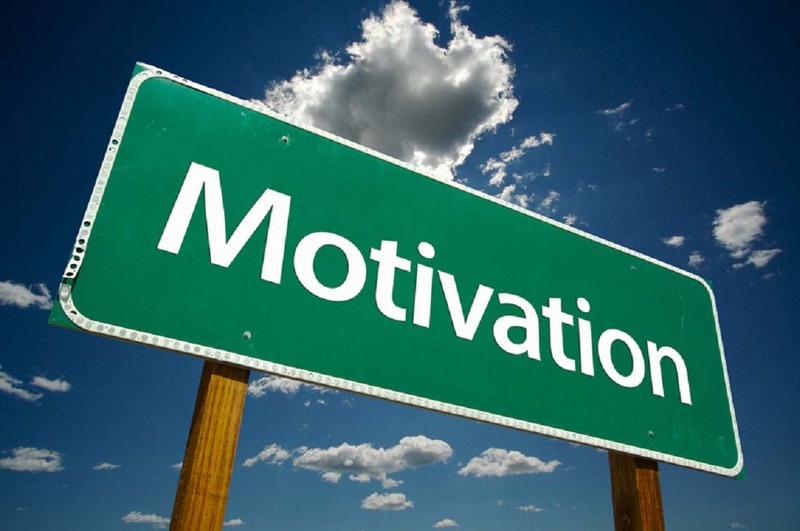 I have some goals for the week that I am going to implement to help move toward my main goals. My total daily step count goal is to reach 5000 steps for 6 of the next 7 days. In the past I have started this journey with great initial results and then when the results were not optimal I would abandon ship or fall into a heavy binge and well you can see where I’m going with this. This morning I have a different mindset though and during my morning talk with my accountability partner I said this: “We have to stop looking so hard at the goal and begin to enjoy the process.” I ministered to myself there and immediately wrote it down because it really is true. So I am going to enjoy the process of allowing the Lord to guide me every day in working through transforming my temple. I am the temple of the Holy Spirit and unless I am listening to Him tell me how to re-build and transform, well I may as well quit right now. It’s not about me. Grace, grace, grace. Thank You Lord for grace. Yesterday I talked about balance starting in the mind and applying the scriptures Philippians 4:4-8 to our lives which would result in Jesus guarding our hearts and minds. Many times I’ve heard people talk about this passage of scripture and Martha gets a bad rap. They focus on Mary because Jesus defended her sitting at His feet to learn from Him. Well let’s think about this for a minute. The scripture tells us that Martha was distracted with much serving. You know what it’s like, right? You plan a Holiday at your place and invite let’s say 20 guests. You are responsible for getting the house cleaned, shopping for the meal prep, decorating, cooking, baking, serving, entertaining and on and on it goes. You know how it is, I’m sure. We have all been there at some point. So Martha was just doing what she had to do to take care of her guests and apparently she did not plan well with Mary because Mary left her alone to do all the work. Martha was frustrated because she was doing all the work. I’m sure every wife, mother, grandmother totally gets that picture and says “been there, done that”, amen? I checked the Thayer’s Greek Lexicon to see what is said about the word distracted from the verse above and it said “to draw away, to be driven mentally, to be over-occupied and too busy.” Hello! Welcome to my world and I’m willing to bet it’s your world too! We have so many things that distract us – good things, bad things, simple things, complicated things, work things, family things, recreational things, etc. We have technology that is great and provides us instant access to everything we could possibly want right at our fingertips. But if we are not careful all these things can take us away from the most important things. Could it be that He wanted Martha to take the position that Mary had chosen? To sit at His feet and soak up all the things He said and taught? I think so. I’m talking about distractions here but it still goes back to balance because we have to be intentional about spending time feeding ourselves with the Bread of Life and drinking of the Living Water. We cannot sit at Jesus literal feet today but as we dive deep into our Bibles and spend time in prayer and worship then everything else will fall into place. I’m convinced putting Jesus first will help us have balance and will also keep those distractions from causing us to have anxiety. It’s being intentional. Mary was intentional about sitting at the feet of Jesus. Martha was caught up in the serving. Both are necessary but truly there can be a balance where we can incorporate both of these things in our lives. Let’s start now! God Bless and thank you for reading today. Yesterday I talked about planning and this morning while having a conversation with a friend the following came to my mind so I decided to write about this today. I shared this with my group on Facebook this morning but felt led to share here as well. I know that if I am going to learn to plan well I need to have more balance in my life and I believe it starts in the mind. I can think of no other place to begin to learn about balance than looking to the Word of God. I hope this post blesses you today. My mind has been on balance this morning and I’ve been asking the Lord to help me find something to share that will speak to our need for balance. Well you know the Lord is faithful, amen? So I was led to the following passage of scripture. My goodness if we practice this every day our lives will be full of balance. It starts in our minds. What do we think about? What worries do we have? What errands do we need to take care of? What parent, child, spouse, neighbor, friend is tugging on our time and energy? What frustration are we carrying from making that call to the light, gas, phone, cable company? What attitude are we carrying from the gas station attendant, grocery store cashier, post office worker? What annoyances are we carrying from our co-workers, boss, etc? All these things can throw us into having an unbalanced mind, right? And that’s not even half of the things that happen on a daily basis in our lives. I won’t even get into the newspapers, news on TV, news on social media, politics, crime, etc! But let’s try doing exactly what this passage of scripture says. Think on whatever is true, noble, right, pure, lovely and admirable! 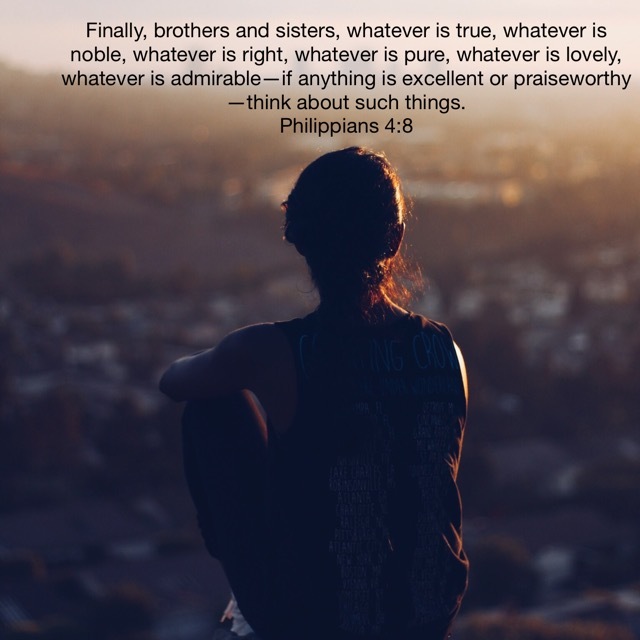 Think on things that are admirable and praiseworthy! Let your requests be made known unto God! If that’s not balance, I don’t know what is? In order to have balance in our lives it must start in the mind. God’s Word is powerful. We can stand on it when we work it. Let’s work these Words into our lives today and let our hearts and minds be guarded by the Lord Jesus Christ.